John Petrovato, owner of Raven Used Books, has been a bookseller for over 20 years. 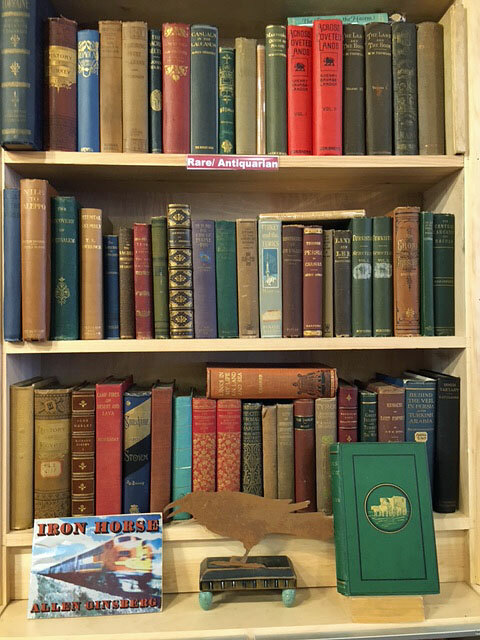 His first shop was the Montague Bookmill in Montague, MA, which he co-owned with David Lovelace from 1992 to 2000. Located in a nineteenth century grist mill, The Bookmill was a beautiful, expansive store that stocked over 50,000 books and provided a full service cafe. 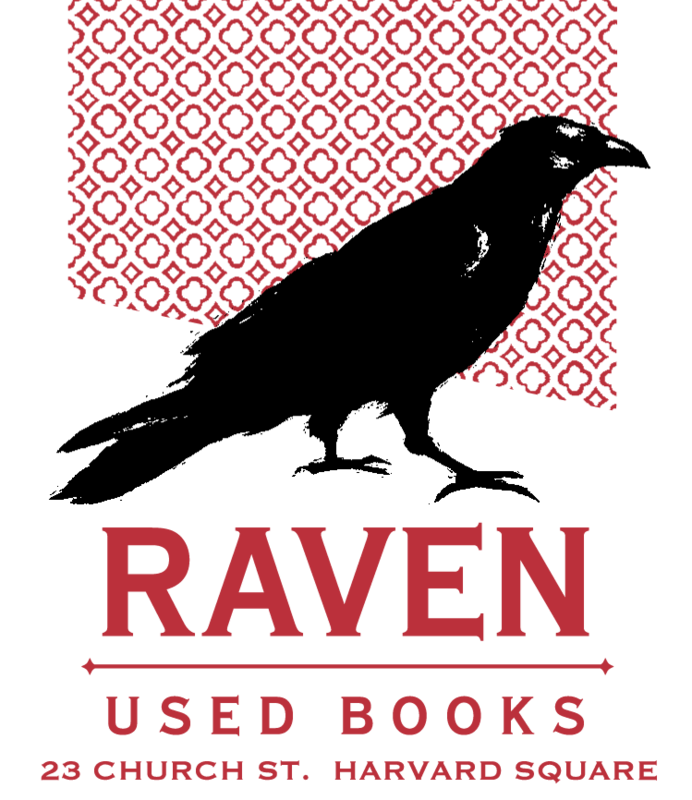 In 1995, John Petrovato, David Lovelace and Betsy Frederick opened up Raven Used Books in Northampton, MA, followed by the second Raven in Amherst, MA a few years later. Both of these shops compiled strong selections of general, literary and scholarly titles. In 2005 the two stores became separate business entities, and John moved the Amherst shop to Harvard Square in Cambridge, MA, excited about the possibility of running a bookstore in a premier academic location. The Harvard Square shop opened in September 2005 at 52 JFK street. Specializing in scholarly and literary titles, the store quickly obtained a loyal and enthusiastic customer base. Hundreds of books come through the doors every day, sold by professors, grad students, and the general literary community. This turnover of 1200+ books every week keeps the stock at Raven Used Books fresh and exciting. In 2010, John opened an additional Raven on Newbury street in the Back Bay. This exciting location brought new customers to the Raven and was awarded numerous awards such as Best of the New by the Boston Globe in 2010, both shops won the Boston Phoenix's readers poll for Best Used Bookstore for 2011, and the Newbury street location was awarded Best of Boston by Boston Magazine in 2012. Although John greatly enjoyed running the Newbury Street store, in 2015 we lost our lease due to a large rent increase that was more than we wished to pay. In 2012, John opened the Portsmouth Book and Bar (along with David Lovelace and Jon Strymish). As a combination used bookstore, bar, cafe, and music performance space, the shop was met with excitement. Reviewed numerous times in the New York Times, Boston Globe and Yankee Magazine, the shop is an exciting new project that John hopes to duplicate in the Boston area. In October 2015, the Raven moved to a new location in Harvard Square on 23 Church Street. As opposed to many other booksellers in the country, John Petrovato believes that the market, though struggling, is still strong and plans to open up additional shops in the following years. Unlike most bookstores who are putting more and more of their stock online and/or closing their doors, The Raven sells very few books online, as John prefers to have the best stock on the shelves for local customers rather than to be sold to anonymous buyers around the world. It is a practice that has helped build a loyal customer base and one of the strongest stock of books available on the shelves of a used bookstore.